When faced with laminate flooring concerns, Terry Weinheimer and Kevin Weinheimer are the flooring experts you need. The Weinheimer’s have inspected laminate flooring concerns since 1994, with the introduction of Pergo laminate flooring to the United States. 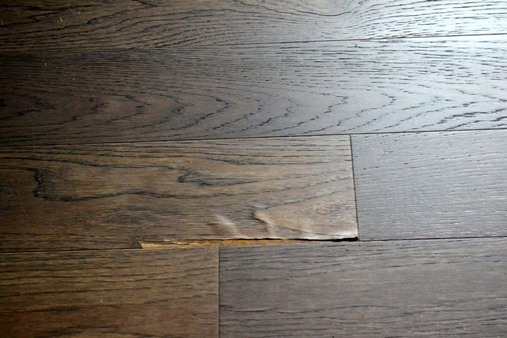 Flooring Inspectors Terry and Kevin have inspected thousands of laminate flooring concerns. We inspect the products of many laminate manufacturers. Pergo, Uniclic, Quickstep, Wilsonart, Shaw, Mannington, Mohawk, Armstrong, DuPont, Bruce, Alloc, Universal and many others. Inspections provided to flooring manufacturers, floor covering retailers, architects, builders and developers. Also inspecting for building owners, home owners, installers, insurance companies and attorneys. Otherwise if you have a laminate flooring concern the Weinheimer’s can handle it for you. Terry Weinheimer has inspected flooring concerns since 1979. Kevin Weinheimer was first certified in 1997. The Weinheimer Group has been providing floor covering inspections in Oregon and Washington since 1990. Handling laminate flooring concerns and other floor covering products is the specialty of the Weinheimer Group. The laminate flooring industry has experienced continued change and both Kevin and Terry regular participate in floor covering events and training. They remain current on changes and any new laminate flooring concerns that may develop as a result of changes in manufacturing. In addition to laminate inspections the Weinheimer’s are also experts and hold certifications for inspecting hardwood and bamboo floors, resilient floor covering, cork floors, carpet and specialty floor coverings. The Weinheimer Group is a member of and have been certified by organizations such as NALFA-North American Laminate Flooring Association, WFCA- World Floor Covering Association, NWFA – The National Wood Flooring Association, CFI – Certified Flooring Installers, IICRC – Institute of Inspection, Cleaning and Restoration, NICFI – National Institute of Floor Covering Inspectors, FCITS – Floor Consultants and Inspection Training Services, AFS – Advanced Flooring Specialist and others. The Weinheimer Group provides both residential and commercial laminate inspections. No laminate flooring concern is too large or too small. 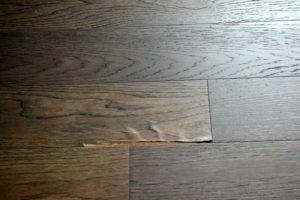 As a public service we offer information on laminate flooring concerns and answer questions at Laminate Floor Problems. Services provided on a regular basis throughout the state of western Oregon and western Washington. Nationwide service is also available. When you have a laminate flooring concern or other flooring concern you are encouraged to contact Terry or Kevin Weinheimer for information, consultation or arranging an inspection. To keep abreast of the latest trends in floor covering and our special offers you are invited to sign up for our free online newsletter The Weinheimer Letter.